AND AFFORDABLE HEALTHCARE FOR HAITI'S MOST VULNERABLE FAMILIES. BY CARLINE DORVIL, NURSE, FOOD FOR THE HUNGRY HAITI. Lack of access to affordable healthcare and education are two of the greatest obstacles for Haitian families. There are virtually no community health services in the remote communities where FH works. The long commutes and poor road conditions often worsen patients’ conditions before they arrive at the clinic, and the high costs of health services prevent many families from getting their children immunized against preventable diseases. 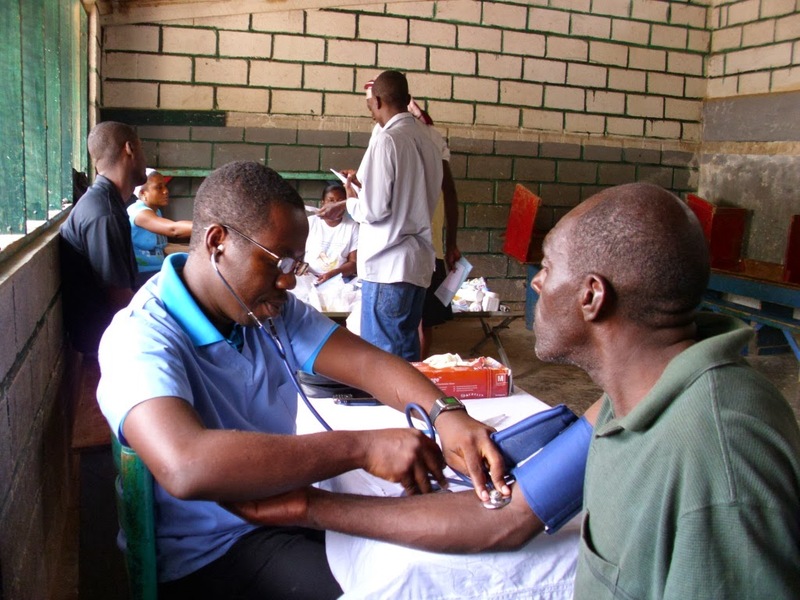 In collaboration with Haiti’s Ministry of Public Health and Population, FH has implemented mobile health clinics in the FH partner community Cachiman, Haiti. It’s the first step to ensuring that all vulnerable individuals—especially children—have access to affordable health services and education. The health program’s primarily focus is on helping pregnant or nursing women and children under the age of five. FH staff have trained community volunteers to operate “rally posts,” a central spot where parents come with their children for growth monitoring, immunization, and other basic services. Francois Ciliane, a mother of four, has seen significant improvements in her children’s health since attending an outreach event at a mobile clinic. After an initial consultation with an FH nurse, Francois realized that her children weren’t receiving proper nutrients from their food. Even though Francois and her husband sold fruits and vegetables from their farm at the local market, their lack of nutritional knowledge was contributing to early signs of malnutrition in their children. At first, Francois’s husband hesitated to change their diet for fear that they would lose a valuable source of income if they consumed items that could be sold. But after several home visits and nutrition education sessions from the FH nurse, Francois and her husband committed to giving the recommended food servings a try. Francois now teaches other mothers in Cachiman the benefits of proper nutrition and how to keep their children well-nourished using locally available foods. This mobile medical unit was supported in part by the Canadian Auto Workers - Social Justice Fund. FH Canada, FH Haiti, and the Cachiman community would like to thank CAW members from across the country for their generous contribution to this life-changing medical initiative. Thank you! Want to learn more about what's going on in Cachiman, Haiti? Visit www.fhcanada.org/haiti to see how families are beginning to thrive!